Oasis Café & Bakery is Featuring Their Wine List for February! Oasis Café & Bakery is offering 2016 Francois Montand Sparkling for $20 that pairs perfectly with their fresh squeezed orange juice for mimosas!! This sparkling is a blend of white grapes that include chardonnay and has a creamy and smooth finish. 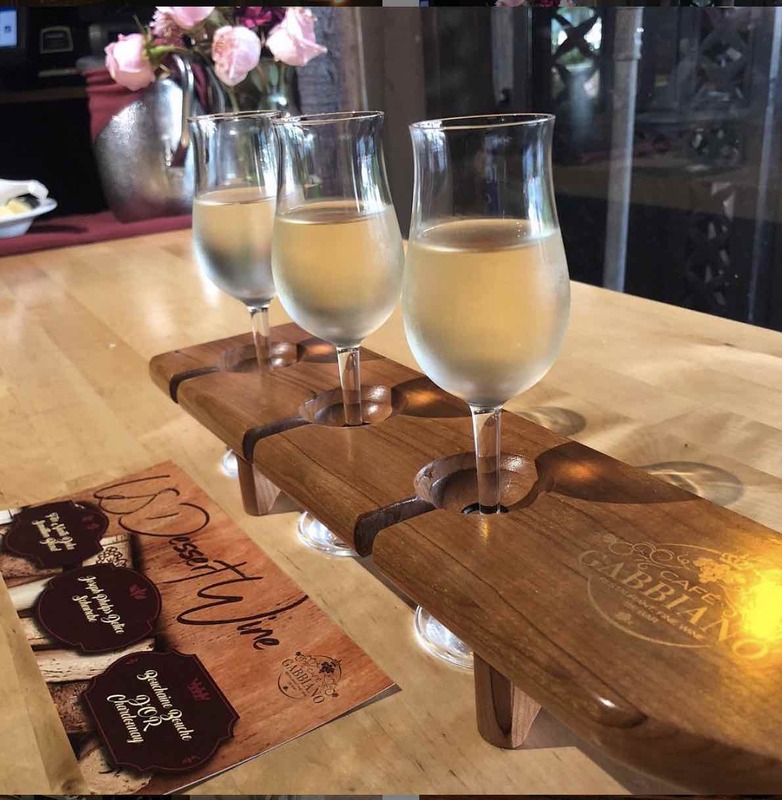 They have a collection of other hand picked wines that are perfect for Februarys in Florida! 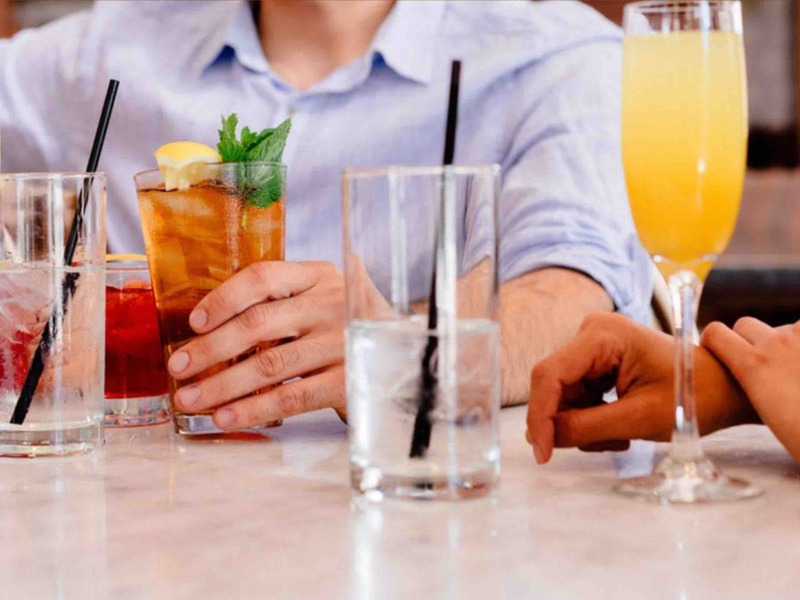 See Café Gabbiano's new 3rd course menu featuring liquid desserts as well as new Wine & Liquor Flights. Featuring Bourbon, Scotch and Rye side by side compares. Also pair 3rd course with one of their new Wine, Sauterne or Port flights. There is something for everyone. Come and celebrate Valentine's week February 11th at Café Gabbiano. Skip the crowds and join them all week in celebration of Valentines Day. Treat your special someone to a romantic evening of delicious food and wine fit for every palate. The start of a new year marks a time for welcoming change. At Brick’s, they believe that change isn’t always a bad thing. 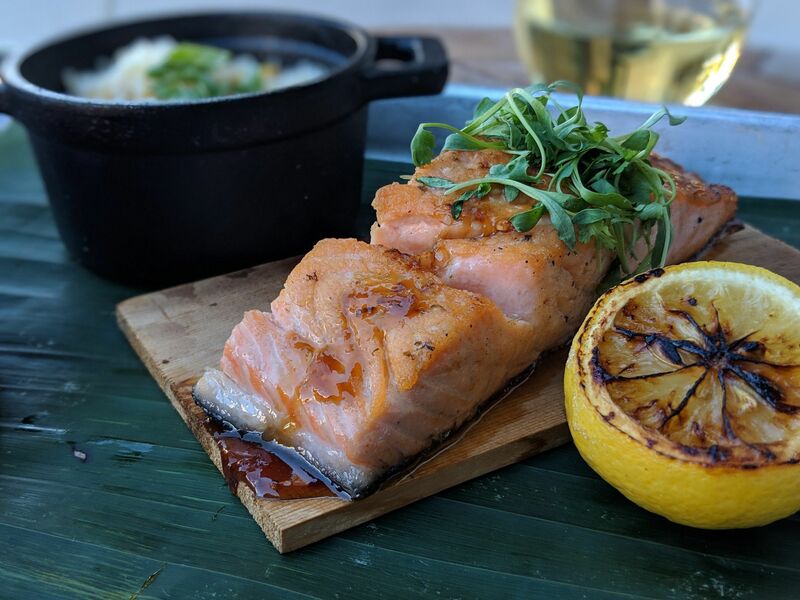 In fact, they consider their new “chophouse fare” items to be enhancements to their menu (which was pretty great already...in their humble opinion ?). They are so fortunate to be in a beautiful, diverse area, now serving up a menu that reflects the diverse tastes of their friends & neighbors. But don’t fret, y’all... They’re still cookin’ up tried & true recipes representing the Central Texas style ‘cue tradition are still here. Brick's new offerings maintain the high-quality ingredients and craftsmanship you love... with a fresh twist. 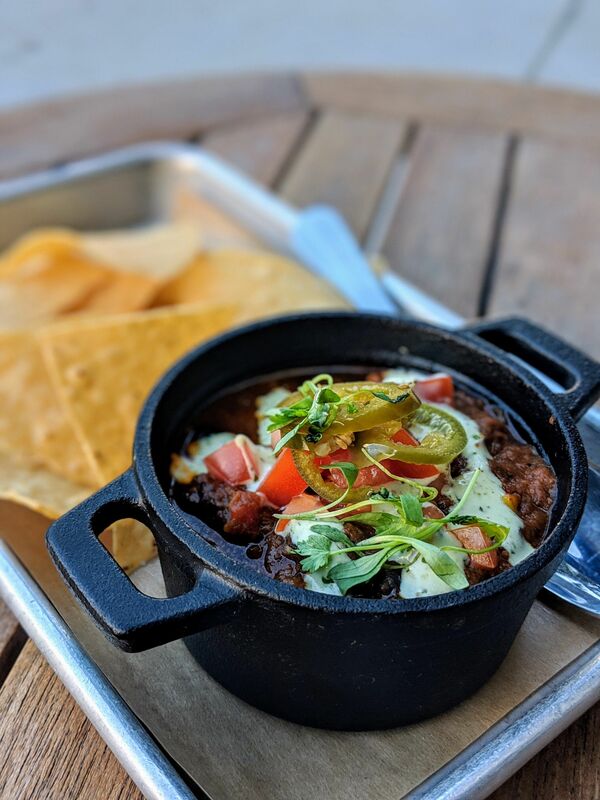 The goal of this menu expansion was to ensure that friends & neighbors who swing by for dinner are just as satisfied as lunch regulars… thanks to the variety of new options inspired by Texas life from the Ranch to the Coast. High-quality flame-grilled steaks & chops. Juicy rotisserie chickens. Fresh & flavorful entrée salads. 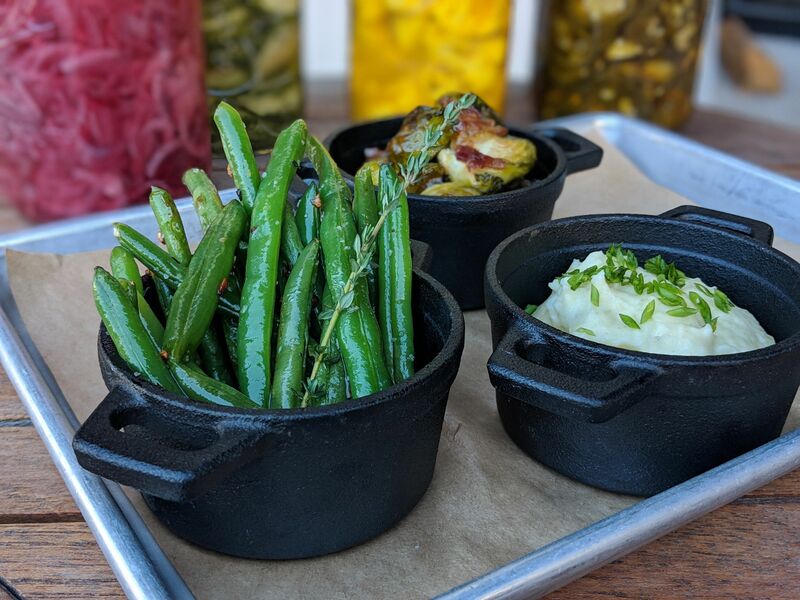 Delicious new sides, including more “green” options for their veghead friends. And some of the best Chicken-Fried Steak this side of the Mississippi! They’re blending the spirit of Central Texas barbecue with the Sarasota lifestyle. It’s what they like to call... SRCue. 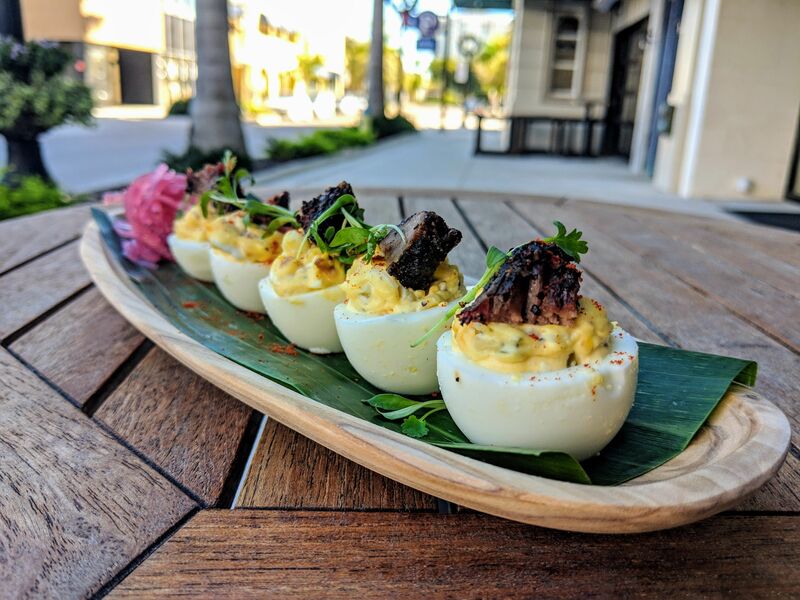 ★ Deviled Eggs - 6 eggs topped with smoked brisket and pickled onions. ★ Butcher’s Board - includes bison sausage, house smoked salmon, bacon burnt ends, pimento cheese and assorted “go with” pickled veggies. 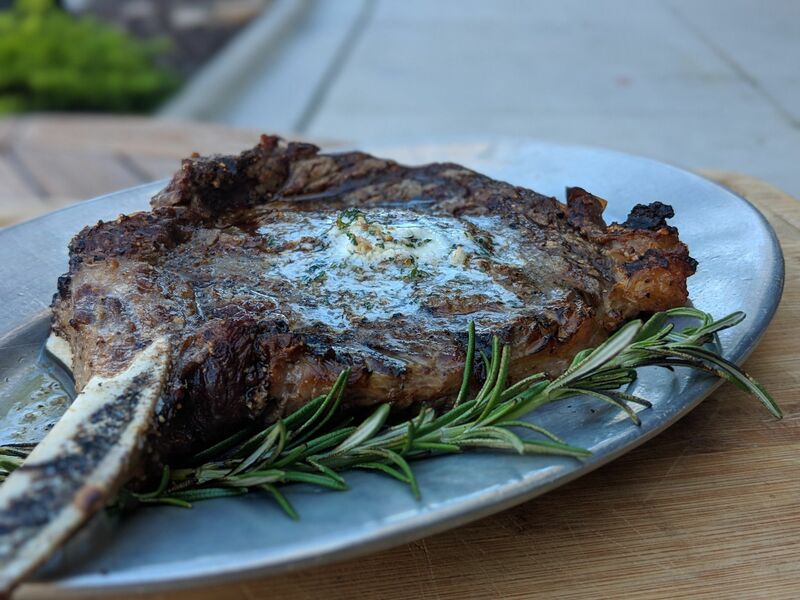 ★ 16-ounce Cowboy Ribeye - topped with herb butter and a pinch of sea salt. ★ Chicken Fried Steak - topped with homemade country gravy. ★ BBQ Pulled Chicken Sandwich- tangy bbq, bacon, fried green tomato, lettuce, and frito crema all served on a hearty pretzel bun. ★ “CBS” Chophouse Burger - freshly ground Chuck, Brisket, and Short rib blend of beef, LTO, on a fresh-baked bun. add your choice of cheese (pro tip: go for the Pimento! ), bacon, or avocado. ★ Chophouse Salad - crisp iceberg, creamy bleu cheese, savory burnt ends, tomato, and house-made croutons. 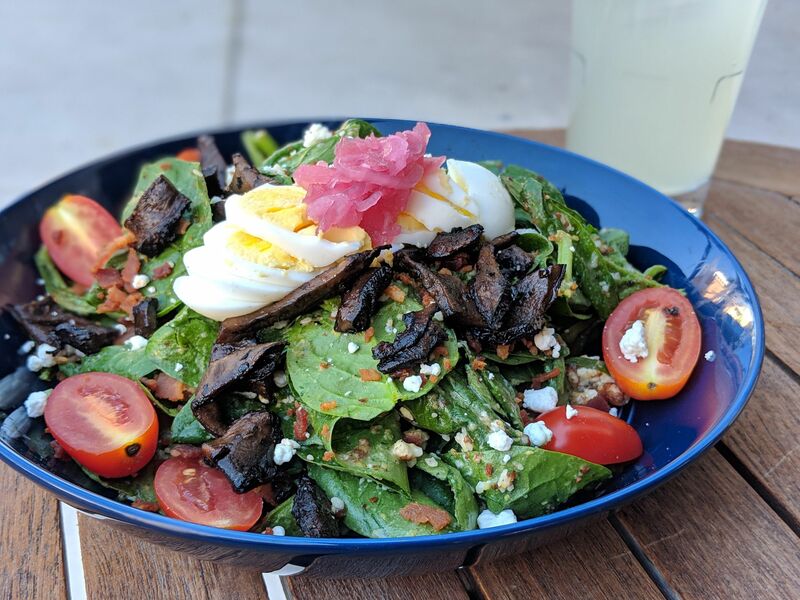 ★ Portobello Spinach Salad - goat cheese, pickled onion, egg, pecan, tomato, and a warm bacon vinaigrette. ★ Green Beans - seasoned with garlic, thyme, and olive oil. ★ Mashed Potatoes - made with warm butter, cream, and garlic. ★ Chophouse Fries - house cut steak fries. Welcome the New Year with modern, global cuisine while sticking to your New Year’s resolution with the City Lite lunch menu at Michael’s On East. Michael’s City Lite lunch menu will revolutionize the way you feel about “eating healthy.” This creative approach to healthy eating delights your palate, body and soul with six globally-inspired, modern lunches under 600 calories. These high protein, keto-friendly dishes, packed with fresh fruits and veggies, will make your diet meal plan or lifestyle shift simply delectable! Choose from a variety of entrees like Michael’s Herb Chicken Paillard & Heirloom Tomato Salad with Boston Greens, Crispy Baby Artichokes, Balsamic Reduction, Red Onions & Extra Virgin Olive Oil (460 calories) or the Espresso-Rubbed Yellowfin Tuna with Roasted Golden Beets, Edamame, Hearts of Palm, Campari Tomatoes, Artisan Baby Lettuces & Rice Wine Vinaigrette, Drizzled with a Ginger-Scallion Emulsion (496 calories).